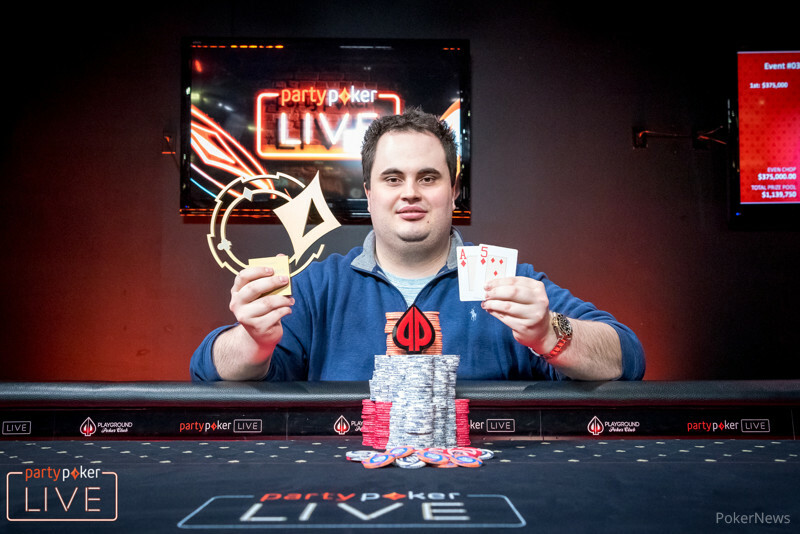 The partypoker MILLIONS North America $25,500 Super High Roller has reached an end and it was Canada's own Christopher Kruk coming out victorious. Kruk defeated fellow high-roller competitor, Anthony Zinno, in heads-up play to take home the first-place prize of $375,000. Kruk is mostly known for his online poker skills but has recently transitioned his game into the live high roller events. His first breakthrough came earlier this year at the PCA where he cashed in both of the $25,000 events, winning one of them for $836,350. This will go down as Kruk's second largest live tournament win and his first on home soil in Canada. Day 2 began with 15 players returning to their seats after two-thirds of the field was eliminated on Day 1. Darren Elias led the charge for the second time this series and was hoping to work his way into the money this time. The short stacks fell by the wayside early on and the unofficial final table was reached not long after the first break of the day. With only seven places getting paid and a $60,000 money bubble jump, some would think the action would have tightened up a bit. However, after partypoker Ambaassador Joao Simao busted his short stack, Viktor Blom ran a triple-barrel bluff to no avail. Maybe a little bit tilted after that hand, Blom then called off the rest of his stack on the river with a straight but was ousted by Chance Kornuth's flush. That left the final seven all guaranteed to walk away with a payday, the only thing left to decide was just how much. 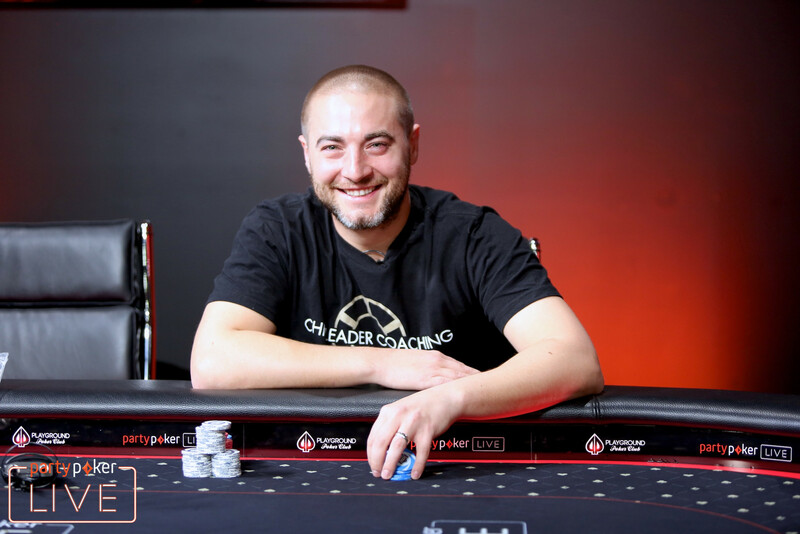 John Krpan, the only player to consider himself a pro, was on the short stack and found himself all in for seven big blind and flipping against Niall Farrell. Farrell hit his pair on the turn, eliminating Krpan in seventh place. Shortly after, Victor Ramdin also wound up all in and flipping against Kornuth. Ramdin held ace-king against Kornuth's pocket tens, but was unable to connect with the board and exited in sixth place. 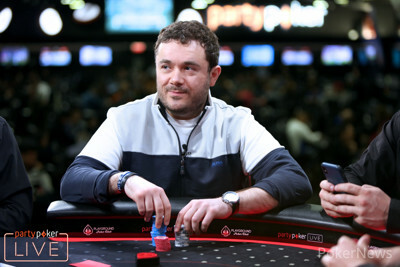 The remaining five players continued without an elimination for a couple of hours until Farrell became the short stack. Farrell had just lost a big all in with ace-king against Zinno's pocket kings, and was forced to get the rest of his chips in the middle with just ace-high a couple of hands later. Kornuth made the call with a pocket pair and held on to eliminate Farrell. Kornuth continued to play a wide variety of hands and his chip stack bounced up and down the leaderboard. After a bluff gone wrong, Kornuth was down to 12 big blinds and moved all in with a couple of broadway cards. Kruk called from the small blind with ace-high and that was all he needed to eliminate Kornuth. It wasn't long after that Elias, who remained fairly quiet on the final table and was enjoying the ladder ups, found himself on the hot seat. It was a four-bet jam from Elias with pocket tens that was called by Zinno with ace-queen. Zinno paired his queen on the flop and Elias was unable to catch any cards to stay alive. That left the final two players to enter heads-up play with relatively even stacks. The blind levels were reduced to 20-minutes for heads-up play which forced the action to move along quickly. Neither player was able to take a real advantage until all of the chips suddenly entered the pot before the flop. Zinno opened on the button with pocket sevens and Kruk shoved all in with ace-five suited. Zinno made the call and was at risk for his tournament life. It was a safe flop for Zinno but when the board double-paired on the turn and river, Zinno's pair of sevens was counterfeit, allowing Kruk's ace-high to take down the pot and win the tournament. That wraps up the coverage from the $25,500 Super High Roller at the Playground Poker Club, but the PokerNews live reporting team will be here to bring you all of the live updates throughout the $5,300 Main Event beginning tomorrow. Anthony Zinno opened to 1,500,000 on the button with and Christopher Kruk shoved all in from the big blind holding . Zinno made the call and was the player at risk for 20,725,000. The flop came and Zinno was still in control with a pair of sevens. The turn brought the giving Kruk some outs to counterfeit Zinno's pair. The on the river double-paired the board and Kruk's ace-high came into play. Zinno was left stunned in his seat and will go home in second place. Anthony Zinno raised it up to 1,000,000 on the button with and Christopher Kruk picked up the in the big blind. Kruk three-bet to 3,500,000 and Zinno decided to see a flop. The dealer fanned the flop of and both players checked to the on the turn. Kruk felt a little more comfortable and bet 2,100,000. Zinno had a straight draw but decided to let his hand go. Anthony Zinno raised to 900,000 on the button with and Christopher Kruk called from the big blind with a dominated . The flop came and Kruk checked to Zinno who continued for 900,000. Kruk called with middle pair and the turn was the . Anthony Zinno opened to 775,000 on the button with and Christopher Kruk three-bet to 2,850,000 with in the big blind. Zinno four-bet shoved all in and Kruk snap-folded in the first preflop raising war of heads-up action. Anthony Zinno raised to 775,000 on the button with and Christopher Kruk called from the big blind with . The flop fell and Kruk check-called a bet of 550,000 from Zinno. The landed on the turn and Kruk checked for the second time. Zinno fired another 2,000,000 with his straight draw and Kruk continued to call. The river brought the and Kruk checked one more time. Zinno reached back for a bet of 7,000,000 with his nut straight and Kruk was forced to let his hand go.